HAAi is ending her residency at Phonox this September - Pop It Records - NEW MUSIC EVERYDAY! 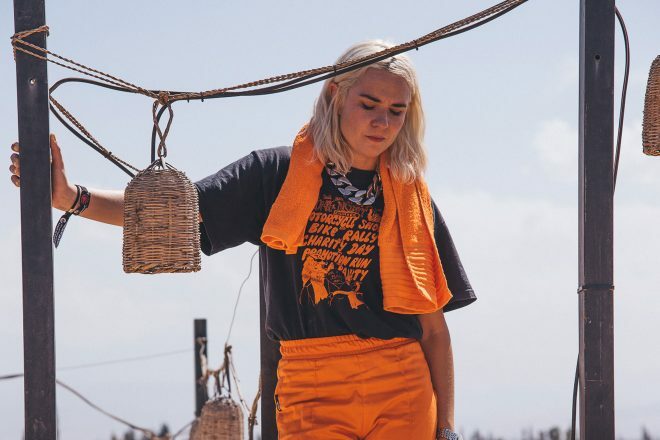 Since starting her residency at Phonox two years ago, HAAi has established herself as a widely sought after and celebrated DJ. Following a successful run where she regularly packed out the 600-capacity club, a new resident is in the pipeline for the Brixton club, starting on October 6. HAAi will host a string closing parties from August 18 to September 29, and will be joined by some special unannounced guests for the finale. No details have been revealed for who is taking over as resident, but the club describe them as someone with “serious energy and charisma” who“will take us in another direction entirely”. Speaking about the close her residency, HAAi said: "There is no tangible way to show exactly how much this place and the people in it have enriched my life. "On the 29th September, at the two year mark (564 hours spent inside that booth), I will play the last set as the current Phonox resident. A badge I have worn proudly since the very beginning. It’s time for me to play all the other clubs n festys now and more importantly, time for someone else to have the chance to make this place their own. "Thank you to everyone who came and danced, to all the missed high fives and sweaty hugs, to the encouraging smiles. For all the bangers and clangs and occasional transcendent moments, I hope you all feel it is your home as much as it has been mine." Check the details HAAi's closing parties below and head to phonox.co.uk for tickets.